Being well prepared: making sure in advance that all phones, computers and other devices are fully charged and all the accessories are accounted for and ready. Obsessing: spending almost 10 minutes trying to decide which of three pairs of socks to wear to the event … under knee boots. I’ll be volunteering over the weekend, serving as room runner Friday morning and working at the Happiness Bar around midday Saturday. Looking forward to meeting lots of new people this weekend in Philly. Come say hello! The site is up for the inaugural WordCamp US! Interested in how schools are using WordPress? Wondering about the benefits and challenges? 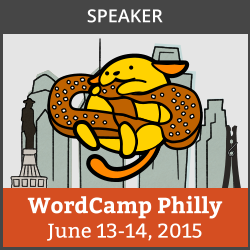 WordCamp Philly 2015 will present a one-hour panel on WordPress in Schools at 11 a.m. Saturday, June 13. 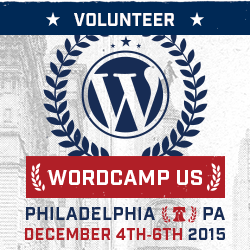 The site for WordCamp Philly is up. If you’re interested in WordPress, sign up!